The choice to buy a car isn’t one that most people can afford to take lightly. After all, not only are you going to be sinking (potentially) thousands upon thousands of dollars into the vehicle over the course of your ownership, but you’re also probably going to be entrusting it with your personal safety (and the safety of loved ones) on a regular basis. As such, before you sign any papers or even visit any lots, you’ll want to make a few key decisions. And possibly the first choice you need to make is about whether you want to buy your car new or used. Here are a few advantages to keep in mind, no matter which direction you choose to go. The new car is an American dream, and for good reason. It offers luxury, dependability, and no small amount of security. And to top it all off, it’s positively fragrant with that new car smell. Here are four other benefits of buying your car new. You can get what you want. If you’re the first person who will be owning the car, that means it’s probably coming directly from the manufacturer to you. As such, what goes into that car and how it looks is really up to you. Even if you can’t specify exactly what you want, you’ll at least still be able to have a dealer search through existing and future stock to find something that fits your description. They’re backed by a warranty. If you drive your brand-new car off of the lot, and it breaks down the first time you step on the breaks, that’s a problem for the manufacturer. Manufacturers generally warranty their cars and all associated parts for at least three years or up to 36,000 miles, with some warranties extending much further. They’re easier to finance. If you don’t happen to have several thousand dollars in your pocket to pay for a car purchase, then you’re going to need a car loan. In that case, you’ll be able to get lower interest rates on a new vehicle than you would on a used one. They’re generally safer. New technology is always being developed to help keep drivers safe on the road. However, new advances are only going to find their way into new vehicles. At the same time, new safety laws are constantly forcing car manufacturers to redesign their vehicles to make them more secure and less dangerous for drivers and passengers. However, cars that are manufactured and sold before these laws come in to effect aren’t required to follow the same regulations. Thus, a new car will probably be the more up-to-date choice, as far as safety is concerned. Hey, not all of us have the money to pay for something fresh off of the assembly line. Thankfully, there are any number of different ways that you can spend substantially less on a used car, and still be just as happy with your purchase. 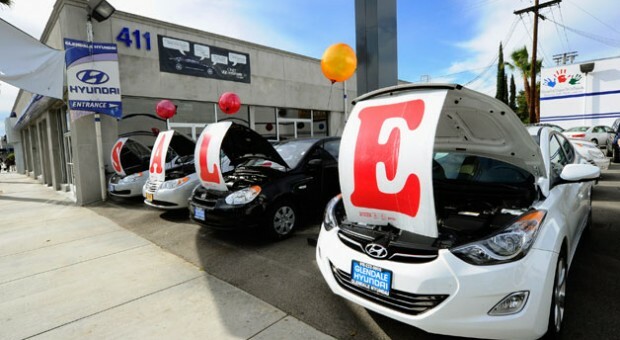 Here are four advantages to buying a used automobile. More options. When you buy new, you’re limited to the makes and models that have been released only during the last few years. On the other hand, when you buy used, you have an endless variety from which to make your decision. At the same time, you’re not limited to buying from a dealership and having to worry about additional fees and underhanded tactics; you can cut out a lot of the hassle and cost by buying straight from a private seller. Less steep depreciation. It’s been said that a new car loses 11 percent of its value the moment you drive it off the lot. Well, the bad news is that a car will continue to depreciate over time. The good news is that the incline of depreciation becomes more gradual over time. That means that if you plan on reselling your car at any point in the future, you’ll get a better return (percentage wise) if you first buy it used. Lower insurance rates. Just as a new car will get you better rates on a loan, buying a used car will allow you to get better rates with your insurance company. The reason for this is that new cars are generally worth more, which makes them a greater risk to your insurer. At the same time, new cars are more likely to be targeted by car thieves. Used cars cost less, and are less in danger of being robbed/stolen, so insuring them isn’t generally quite as expensive. Also, used cars may not require collision insurance, because the cost of repair may actually exceed the value of the car itself. Lower sticker price. When people talk about used cars, they often picture beat-up old clunkers with chipped paint jobs, but this isn’t necessarily an accurate image. By buying a car that is in good condition, or one that is only a few years old, you could find yourself the proud owner of a top-of-the line automobile for a fraction of what it would have cost you at a dealership. Remember how we mentioned how cars depreciate really quickly at first? Well, when you’re in the market to buy, finding one that just took that first 11 percent plunge can end up saving you quite a bit of money.